The use of signs and banners is the best way to market offline to potential customers. In fact a person living in my neighbor has done a little offline marketing of his own from his very own front porch. In this specific situation his marketing was directed to his neighbor living across the street by the name of Susan. Apparently, this Susan was suffering from cancer or some other serious illness. 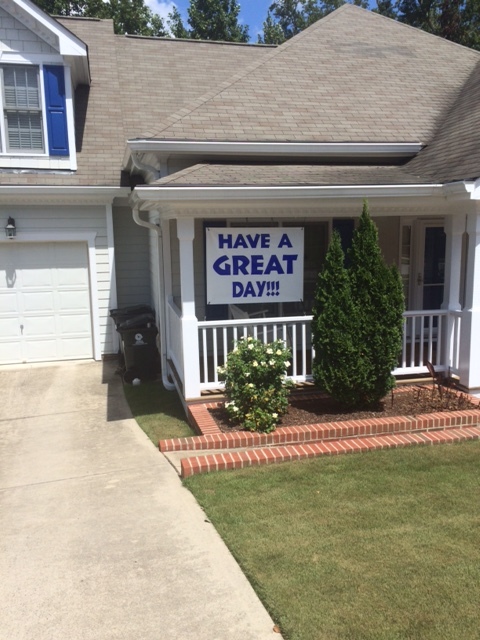 This neighbor, sensing Susan needed moral support, decided to provide his own moral support by displaying signs directed towards her from his front porch. All of these signs revolved around how Susan had friends and was proceeding apace through her treatment which was I assume chemotherapy. This neighbor apparently had only the best of intentions. By all appearances his signs expressed a sentiment that came from the right place. But what he did not know was that his signs were making both Susan and the rest of the neighborhood uncomfortable. But the apparent fact that his signs were displayed with the best of intentions made it difficult for anyone to approach this neighbor to tell him to stop doing what he was doing. My neighbor’s display of signs eventually came to an end. Susan’s treatment apparently was successfully concluded. But more importantly and effectively the home owner’s association contacted the neighbor asking him to cease and desist. 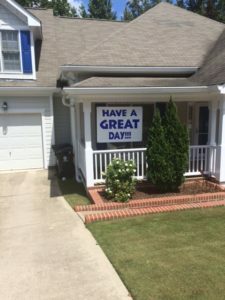 Before stopping the neighbor displayed one last passive aggressive sign telling the neighborhood to “Have a Great Day!” This was in response to the neighborhood’s passive aggressive action of complaining to the home owner’s association. It just goes to show that passive aggression begets more passive aggression. Come to think of it, communicating through the use of a sign as opposed to speaking directly to a person is a bit of a passive aggressive action in and of itself.